I just found this site called SCRUM Methodology.? It looks like a great site and so far I’m very impressed.? I added it to my links section, and I’m very picky about what I add to my links section! SCRUM is something I have some experience with, and I believe there are many tools and techniques that grew up in various methodologies that we all can learn from.? You may already know that I’ve written about SCRUM on pmStudent.com before, and the various applications of techniques that can be relevant to all types of projects, even those far removed from software development. So, be sure to check out this great new resource.? 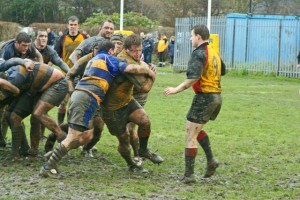 The posts so far seem to give a good overview of what SCRUM is all about and some of the details of implementing it.? Check out the video and podcast links in the lower right corner too!